A long, long time ago on Pinterest, I pinned a “recipe” for crock pots. Basically, this girl had pulled together five of her favorite crock pot recipes and “cooked” them ahead of time. 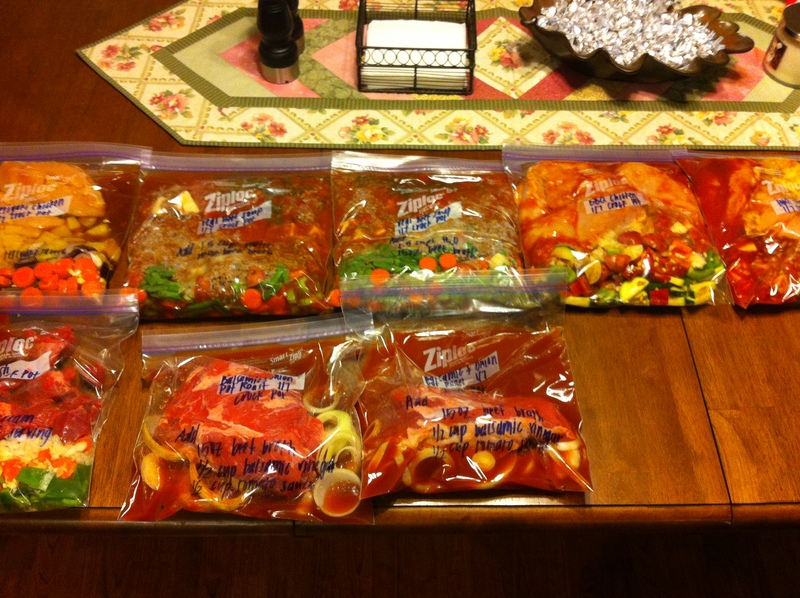 The idea is that you do all of the work ahead of time, then freeze what you would put in the crock pot in gallon freezer bags. Then, you pull a bag out the day before you want your meal, let it defrost in the fridge overnight and then plop it in your crock pot in the morning. Then I started with the tedious part – the chopping of the veggies. I wish I would have taken a picture of them all laid out on the counter… it was impressive! Once I had the veggies chopped, I added the meat and spices to the bags. Then I sealed them up, squished out all the air and laid them flat in the freezer. Pretty impressive, isn’t it? 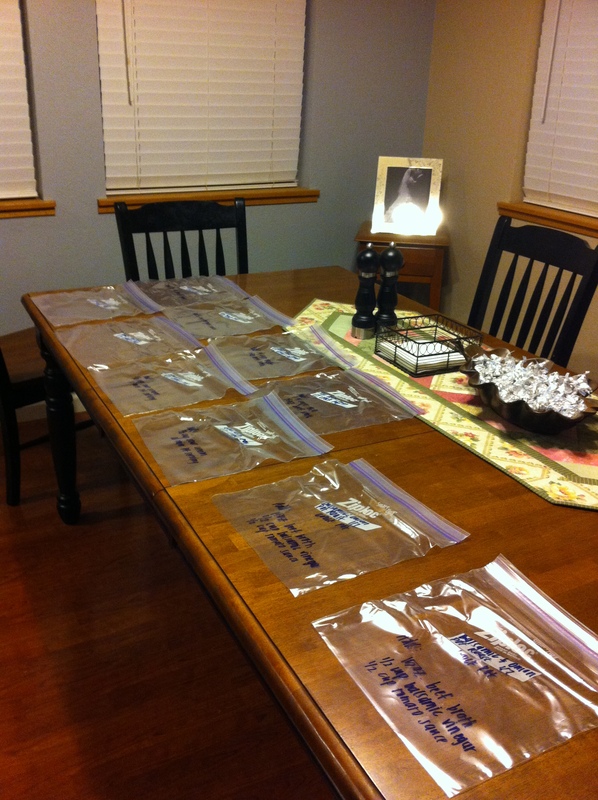 In total, it took me about an hour and a half from start to finish – not bad to have ten ready-made meals! I wrote on each bag the name of the meal, that it was meant for the crock pot, today’s date, and anything that needed to be added in the day of (more broth, water, etc). I’ll post the recipes as I try them… I don’t like to post them on here until I can give an honest review. Everything looked and smelled good though! If you want to see her blog, complete with recipes, click here!